The Isabella Pedestal Vanity Set is a fresh take on bathroom vanities. 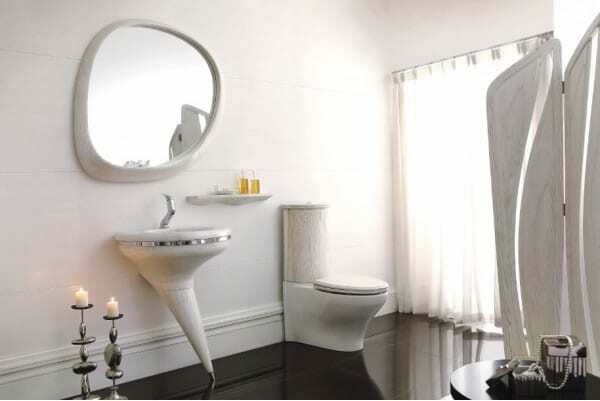 It is comprised of a sink, mirror, and stool. 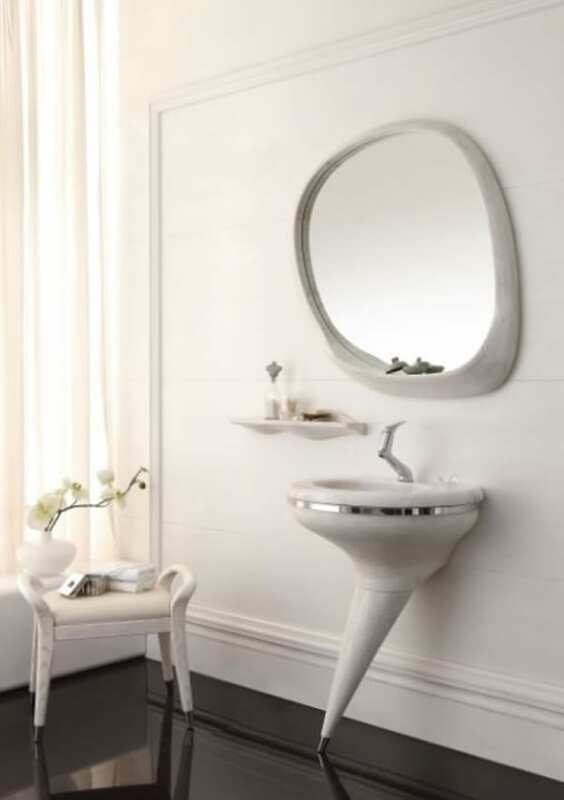 The mirror and sink are irregularly shaped while the stool has handles on its sides. The pieces are made of solid ash wood and have a water resistant finish. The sinks are sold as a set of two or as separate left and right pieces. They have marble tops and are supported by pointed pedestals that look more like sharpened pencils than sink supports. The pedestals slant to one side creating a look that is simply unmatched. Isabella is the perfect solution to bathrooms limited for space. Its neutral color is ideal for minimalist homes. 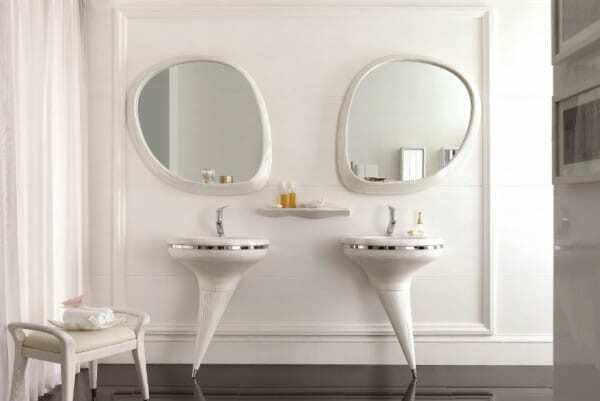 If you want to give your bathroom a clean, ultramodern look, get the Isabella Pedestal Vanity Set by Dezign Market. Its pieces are designed to stand out in any space. You can get the collection with the Isabella Wall Cabinet and storage unit to increase your storage solutions. The mirror in the collection comes with an integrated shelf that provides storage space for your bathroom essentials. After a long, tiring day, most people prefer to unwind in their bathrooms. Bathrooms that are equipped with beautiful accessories are perfect sanctuaries. Use the Isabella Pedestal Vanity Set by Dezign Market to transform your bathroom into a luxurious spot. It will make people brighten up when they step into your bathroom. Do you think the Isabella Pedestal Vanity Set makes a perfect match for your space?